J.Timothy Morris, is a Founder and Partner of Proprium Capital Partners, L.P. Prior to launching Proprium, Tim was a Managing Director of Morgan Stanley and Chief Investment Officer of Morgan Stanley’s Real Estate Special Situations Funds. Tim spent over 24 years working at Morgan Stanley holding various roles for the Morgan Stanley Real Estate Investing Platform, including Global CFO, Global COO, Head of Asia (based out of Hong Kong) and Co-Head of Europe (based out of London). At its peak, the platform had grown to approximately $100 billion of assets under management in 33 countries and 25 offices around the world with over 800 full time staff. Tim was often the leading acquisition professional asked to evaluate new markets for Morgan Stanley Real Estate including China, India, Russia, Brazil, Mexico, Vietnam, The Philippines, Hong Kong, Singapore, Thailand, Japan, Poland, the Czech Republic, Romania, the Gulf States in the Middle East, Nigeria and North Africa. 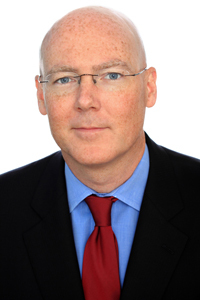 Tim became the Chief Investment Officer for Morgan Stanley Special Situations Fund I in 1998. Tim has continued in this role for each of the subsequent Special Situations Funds, including Morgan Stanley Real Estate’s first Euro-denominated fund with Morgan Stanley Special Situations Fund II, which focused on the Euro-Zone economies. Tim has served on the Board of Trustees for several public, as well as private, real estate companies in Europe, Latin America, Asia and the U.S. including Fadesa, American Industrial Properties, Motel 168, Grove Property Trust, Tower Realty, City Express, Atlas and WNY Properties. Tim focuses his volunteer commitments on educational and youth initiatives. Tim served as Chairman of the Board of Trustees for Greenwich Academy – a leading independent day school for girls in Greenwich, CT. Tim also served as the co-chair of the Youth Board at Trinity Church in Greenwich, CT. Tim received a BS in Finance from Indiana University in 1988, graduating with distinction, where he serves on the Dean’s Advisory Council for the Kelley School of Business.